The Cat in the Hat craftivity | My Attempts at Being Creative! Last Wednesday we read the book The Cat in the Hat. Most of the kids were familiar with this book so it was a pretty easy read. 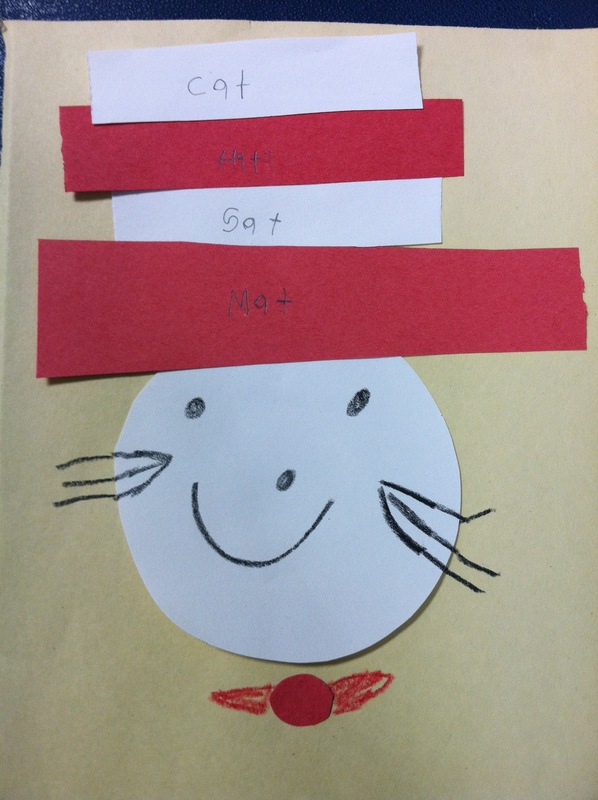 After we read the book we made our own cat in the hats by using different shapes. In math we are learning about 2D and 3D shapes so this lesson fit in well with what we are learning in math. I found this craft here. To add to it since we did it during our writing time we had students write -at family words on each strip of the hat.